The main functions of an alternator are to generate electricity for the electrical components of the vehicle and to charge its battery. The alternator produces this electrical energy by converting mechanical energy. If you were to try and start your vehicle without an alternator, the battery alone would not be able to produce enough power to get the engine running. Even if you had a new car battery and were lucky enough to turn the engine over, it would probably run for about 10 minutes before the power cuts out. The alternator is necessary to keep the battery recharged and to alternate the electrical current throughout the many components of your vehicle to keep them powered. 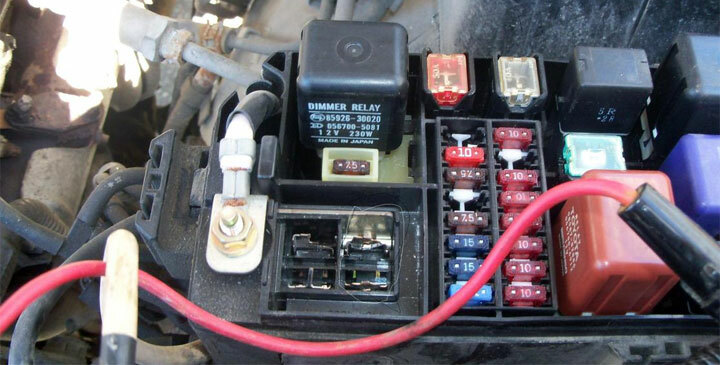 A lot of people get confused when they begin to have electrical problems with their vehicle. 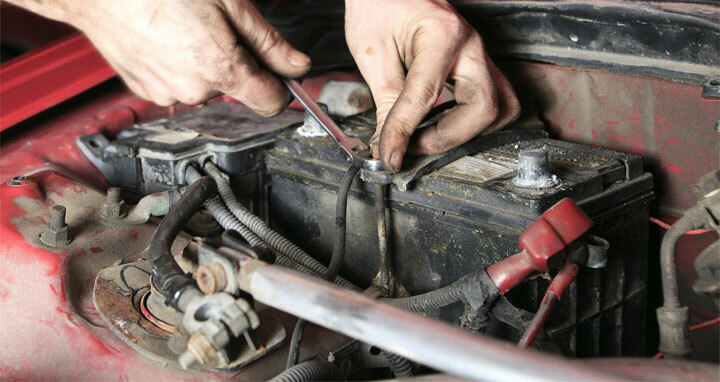 It’s easy to misdiagnose these problems as being a bad battery instead of a bad alternator. To understand the difference, you must first learn about what causes an alternator to stop charging. Then, you can inspect the vehicle and determine if the problem is your alternator. Most people are driving cars made within the last 20 years. These newer cars all have a central computer system or engine control unit (ECU) which manages and operates the vehicle’s components and parts. This computer manages the alternator as well. Therefore, all it would take is a computer error and the result would be a malfunctioning alternator, preventing it from charging. The belt and pulley produce the mechanical power which gets converted into electrical energy by the alternator. Your belt can easily break if it gets stretched out too much, causing it to snap apart. The pulley can also get damaged after a while. In either case, the alternator will no longer be able to produce a charge for the battery. There are certain models of car which have alternators dependent on a particular fuse to operate. However, these fuses can blow due to a power surge or simply from old age. Once that happens, the alternator will no longer charge the battery. Not all vehicles have these fuses, so you will have to check your owner’s manual to see if your car has them. If so, this is well worth investigating in the event your car battery is not charging properly. 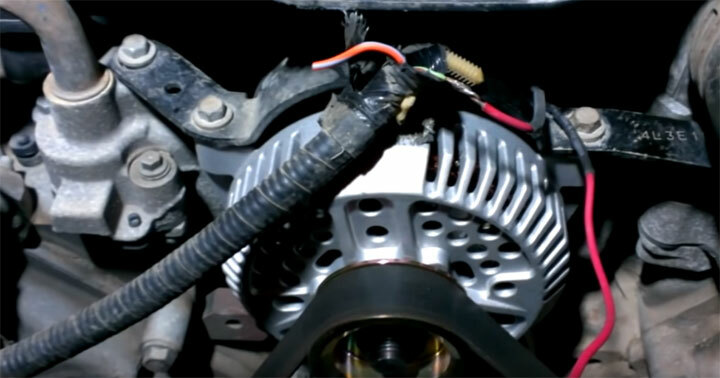 There are numerous wiring components in a vehicle that help produce power for the alternator. All it would take is for one wire to be disconnected or cut for power to stop being generated. As a result, the alternator won’t be able to charge the battery until the wire is repaired or replaced. Alternators and batteries do not last forever, and each have their own lifespans. A car battery will last from 2 to 5 years, depending on how often you drive and the climate where you live. Batteries generally last longer in colder environments and shorter in hotter environments. Alternators will last about 7 years or every 80,000 miles. 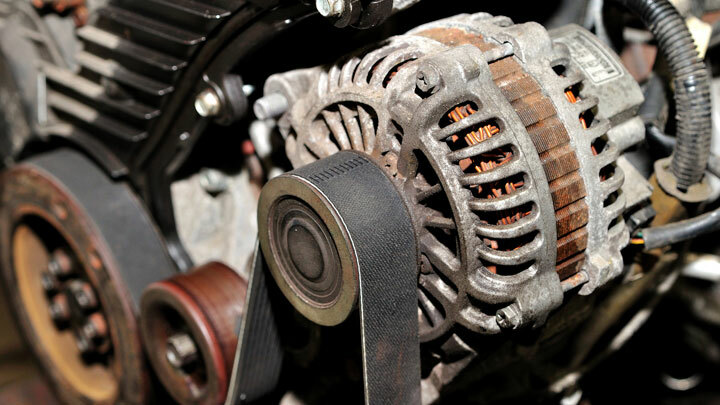 The most common reason for an alternator failing to charge a battery is one of them going bad. You can easily test the voltage by connecting a voltmeter to your battery while the engine is off. The voltage reading should be between 12 and 13 volts. You can automatically assume there’s a battery problem when the reading is lower. In the event your battery’s good, start the vehicle and get the engine up to 2,000 RPM. This will put a lot more demand on the alternator. A decreasing voltage reading on your voltmeter indicates you have an alternator problem. Check under the cover of your fuse box or in the car manual to see where the alternator fuse is and simply replace it with the same fuse type. My 2009 Silverado has a new battery and alternator but stops charging after you drive it for awhile ? Since you have a GM, the first thing I can think of is to check to make sure the battery/ALT/CHARGE warning light bulb in the dash is not out. It doesn’t make much sense but that’s how they’re wired. If the battery “idiot” light in the instrument cluster doesn’t light momentarily when the ignition is turned ON, the bulb is bad and the charging system will not work. If the bulb IS working, make sure you check the voltage at the battery and at the alternator. The numbers should be similar. Which bulb are you referring to? The bulb behind the instrument cluster (similar to low fuel or check engine bulb). I have VW Touareg V6 2008. Car is running but battery doesn’t charge immediately when the car is started. If I continue running the car for 15 to 30 minutes and switched off the car then start again, the battery will charge. I am confuse to locate what is the exact error or problem. Looks like you narrowed it down to a wiring issue. There may be a damaged wire, wiring harness, or short somewhere. I’d look at replacing the wiring harness. I would like to know when you connect a alternator, if your power wires is short can you use a smaller size wire to connect it to the actual wire that runs to the engin and battery? I accidentally swapped the battery terminals but corrected them and the car started, it showed the battery signal which suggest alternator is not charging the battery, i found that there are two fuses died, i replaced them and ON the ignition, the fuses died again. What could be the reason in this case? Fried voltage regulator in the alternator? I have a Ford Mondeo 2 l diesel 2011 the battery warning light comes on had battery tested it’s good alternator is putting in 13.9 volts what could the problem be? Ditto, has to be the wiring somewhere? 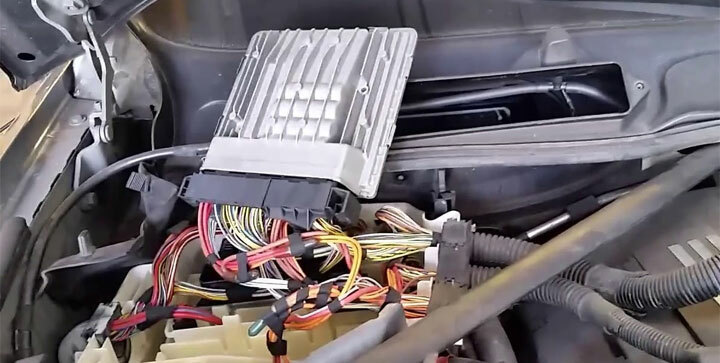 Even though you replaced the battery, make sure there’s no corrosion on the battery cables which connect to it and that they are connected tightly to the posts on the battery. If that’s fine, you may have an issue (or loose connection) with the starter. Hi so I have a Mitsubishi 2009 Galant and I’ve had my alternator replace led twice over the last couple months but recently again my battery has stopped holding charge, is there anything that really might be buggin instead of the alternator itself ? You didn’t mention how old the battery is but I assume you’ve had it tested before replacing the alternator. Other things to look at: check all cables attached to alternator and battery (make sure they’re tight with no corrosion), check for blown fuses, and check belt condition and tension. Make sure all your cables have a good connection with no corrosion and your belt is in good condition with proper tension. Not sure if the Expedition has one, but some vehicles have a remote voltage regulator (instead of being part of the alternator) which may cause problems. All related fuses look good? If you alternator (or battery) fails, it will not allow the power steering pump to work. This means your steering wheel will be extremely hard (or impossible) to turn without power assistance. I have a toyota hiace truck. Its not charging the battery but the day i was cleaning the engine after putting engine cleaner and somw water that spilled on to the alternator. It started charging. But this didnt last for long. What might be the problem. My car is Toyota Corolla Quest 2015 on the clock it is 245000km and it’s not charging will that means a car of that old the alternator is already damaged? If the battery of my car is 3 and half years can cause car not to charge?